Hills prescription diet canine t d mini is designed to clean and remove plaque and tartar from your dog's teeth as they eat. The food contains a high antioxidant formula, which is shown to help reduce the progression of dental disease. 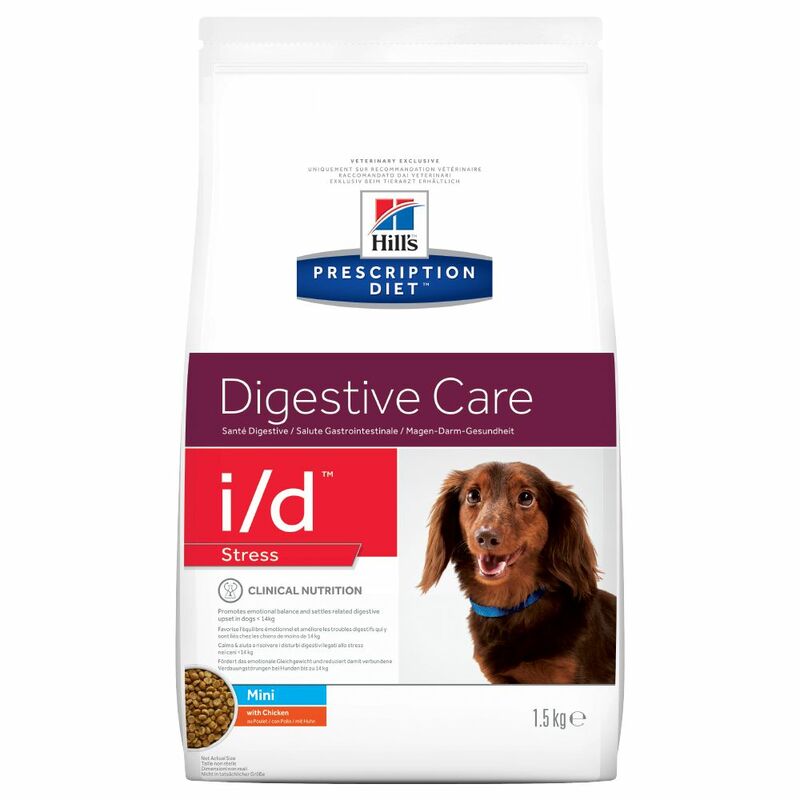 It also contains all the nutrients your dog needs to stay healthy. It can be difficult to clean your pet's teeth, which is why dental problems can be very common and research has shown that at the age of 2, 80% of dogs can show signs of dental disease. Hills prescription diet canine t d mini however, helps to keep your dog's teeth in excellent condition. Problems can occur from a build up of sticky plaque that hardens and forms tartar. If it is left and is not removed quickly, it can lead to gingivitis, a painful inflammation of the gums. From this, they are then likely to lose teeth and are at higher risk of other diseases that can affect elsewhere around the body. There are many different factors that can contribute to your dog's likeliness of developing a dental disease. Their age is a big factor as dental disease is more common in older dogs, their breed can lead to disease as some breeds are more likely to have overcrowded or misaligned teeth and also the food they eat can have its effects as sticky food can lead to rapid plaque build up.